There is a lot of strange wildlife running around Times Square in New York and certainly not the same kind that National Wildlife Federation has been protecting for 77 years, but that didn’t stop NWF from braving this concrete jungle to host the NASDAQ stock market’s ringing of the closing bell. 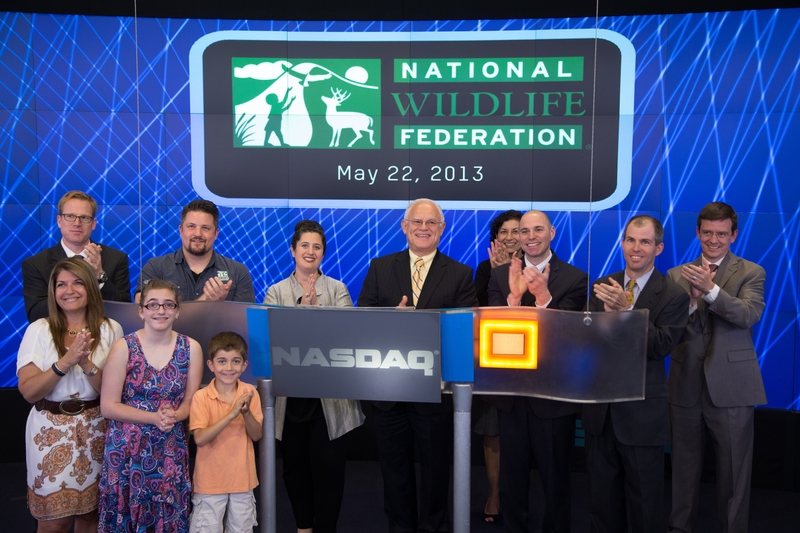 On May 22, National Wildlife Federation President and CEO Larry Schweiger, celebrity naturalist David Mizejewski and NWF’s staff in NYC were guests of NASDAQ; the world’s most dynamic stock market and home to such innovative companies as Google and Apple. There have been a couple of historic numbers in the news recently; the American stock market hitting an all time high (good), the highest level of carbon dioxide in the atmosphere in human history (not good), which makes NWF grateful to NASDAQ for giving Larry such a special platform for discussing climate change, wildlife habitat loss and connecting children to nature. NWF’s message of environmental education, conservation and cooperation was shown in supersize across the jumbo-tron at “The Crossroads of the World.” This collaborative event is a great example of the business community teaming up with conservation organizations to forward social responsibility initiatives. 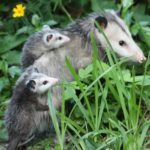 National Wildlife Federation is partnering with NYC corporations to promote post hurricane Sandy restoration work, tackling climate change and integrating sustainability into K-12 education with our Eco-Schools program. It’s very encouraging to see so many diverse companies making environmental conservation a part of their business plan. On a personal note, I really enjoyed the fact that after working as a market trader for over a decade, that when I finally got to ring the closing bell for the stock market it was to share the National Wildlife Federation’s mission of inspiring Americans to protect wildlife for our children’s future.